Wedding Videographer Min and Nick Wedding Trailer Video – Autumn Bliss Wedding – Wedding Videographer Life Studios Inc. If there is one word to describe the Wedding Videographer Min and Nick Wedding Trailer Video – Autumn Bliss Wedding – Wedding Videographer Life Studios Inc., it is ROMANTIC. Min and Nick tied the knot on a beautiful autumn day in 2012. The colors of the trees and the leaves added a finishing touch of romance on their special day. An amazing love story of two people from different cultures that came together as one. We love the whole feel of this wedding cinematography as it tells the series of events in their beautiful day. The colors look so warm and rich, and the love reflects all throughout the video. The shots of the couple showcasing Vancouver, also played a significant role as it tells that they started their life together in this beautiful city. When our bride was getting ready, we sensed the deep sense joy and excitement from her. As captured in their wedding video, Nick’s eyes were full of love and anticipation for the most special day of their lives. It is also evident how much happiness their families had for them. The ceremony was held at the beautiful St. George’s Greek Orthodox Cathedral where they had the traditional ceremony. Min walked down the aisle in her beautiful asymmetrical satin dress with her mom in her traditional Japanese Kimono. The church was decorated with beautiful white flowers in giant vases with crystals, which added an extra touch to its beauty. We also love their romantic reception and the mood lights were just perfect! The drapery, the dim lights, the candles, the grandiose table arrangements, the flowers and the presence of love truly made the night the way it is! 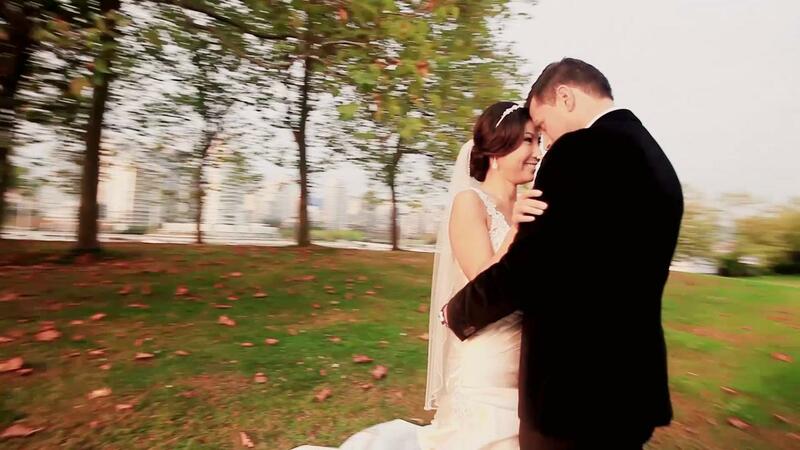 Feel the love in the air this Fall as you watch the Wedding Videographer Min and Nick Wedding Trailer Video!